Grand Master Vincent Marchetti attended the 22nd annual World Head of Family Sokeship Council celebration, held in Orlando, Florida on June 20 and 21. The annual Sokeship meeting is a celebration which brings together members from all over the world. 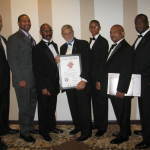 Students of Kearny Martial Arts are particularly aware of how special these events are for all who attend as our dojo had the honor and privilege to host and organize the first such council meeting right here in New Jersey. The weekend’s schedule of events provides a mixture of training seminars and demonstrations, entertainment and an opportunity for members to meet and exchange information. Another important function of the Council meeting is the testing, evaluation and potential induction of new members to the Council. 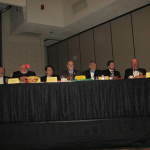 Membership evaluations are overseen by a panel headed by Grand Master Marchetti. The screening and verification process to become a member of the WHFSC is so exhaustive that only about 50% of those who apply are accepted. Jeff Graf is a combat veteran and has headed several special reaction and anti-terror teams. He was recently on the east coast providing anti-terror instruction to the NYPD. Chuck Wepner is a boxing legend known for inspiring the movie Rocky as well as being the only man to have fought Muhammad Ali, Sonny Liston and George Foreman. 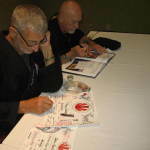 You can find out more about both men on the KMA website as well as in the book Tough Guys itself. 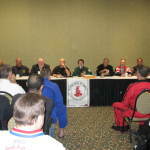 Members of the WHFSC, including Grand Masters Frank Sanchez, Joe Williams, Phil Little, Vincent Marchetti and Josie Murray. Members attended from many countries including Puerto Rico, Italy, France, Germany and Switzerland. Grand Master Joe Williams with two of his top students. 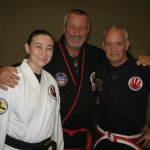 On the right is Roberto Bruguera and the left is Tiffany Gallagan who recently was promoted to black belt. Grand Masters Vincent Marchetti, Josie Murray and Linda Rein. 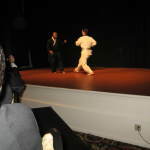 Grand Master Rein was a student of Grand Master Marty Manuel. Grand Master Vincent Marchetti (left) with Grand Master Josie Murray who is the representative to Ireland for the Police Tactics Instructors of America International. 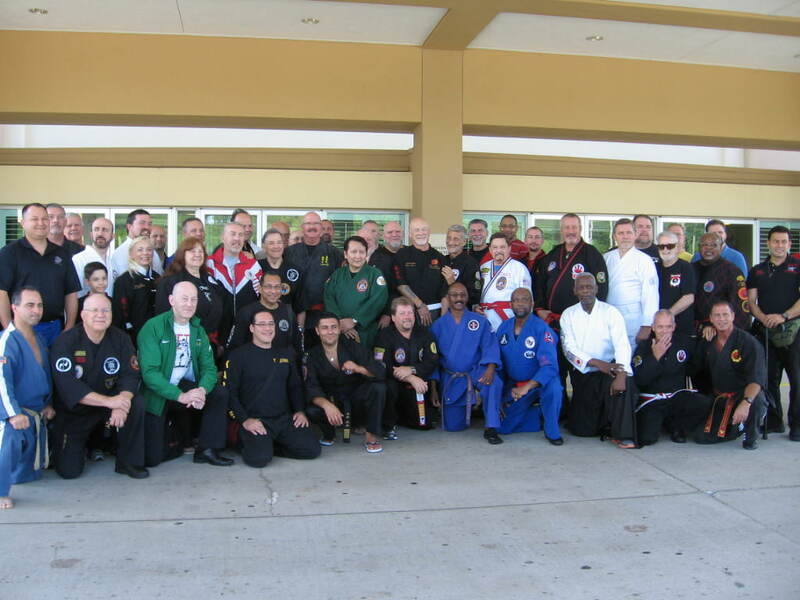 Soke Harris Warren and some of his top students pictured with Grand Master Vincent Marchetti (center). Champion rock ‘n roll dancer Grand Master Josie Murray performed in that area for the council as well! 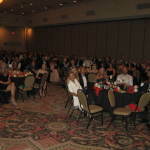 A view of the guests and members in attendance. Carmen is in the center, in white. Grand Master Marchetti (center) with Grand Masters Neil Hummerstone (left) and Gary Dill (right). Saturday morning council meeting discussing council business.Grand Master Frank Sanchez is in the green gi. 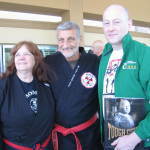 Grand Master Vincent Marchetti (right) with Grand Master Josie Murray. Students of KMA look forward to the opportunity to meet Grand Master Murray in the future! Grand Master Vincent Marchetti with Carmen. Grand Master Josie Murray giving a demonstration for fellow attendees. Grand Master Josie Murray is an international Ju-Jitsu champion, most recently winning in Brazil. 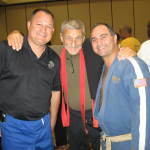 Grand Master Marchetti with Grand Master Sergio Barriga (right) and a US service member (Marines) left. 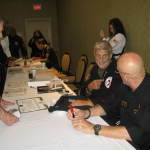 Grand Master Marchetti signing promotion certificates. Including Tiffany Gallagan. 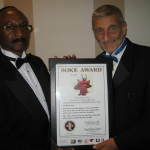 Also pictured is Grand Master Gary Dill. 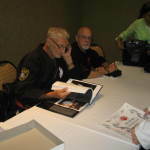 Grand Master Marchetti autographing a copy of the book Tough Guys. 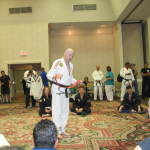 Council meetings often include martial arts demonstrations. 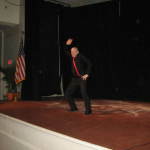 Grand Master Frank Sanches performing the United States national anthem.